Montana has slightly more than 1 million residents and a reputation for open spaces and vast panoramas. Yet most Montanans live in cities and towns. These communities are varied and are located from the prairies in the East to the narrow mountain valleys in the western part of the state. Each has its own character and unique economy. In this article, we take a closer look at the largest communities in Montana and summarize their economies and recent economic trends. 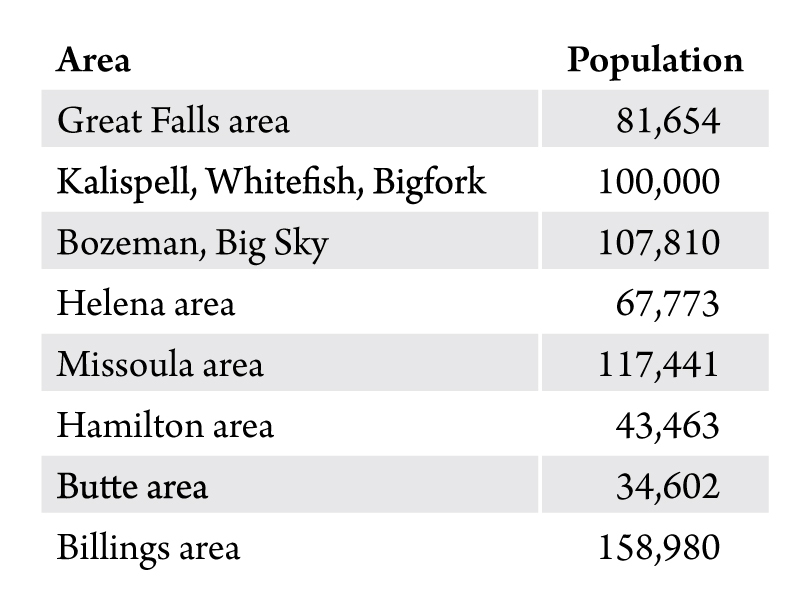 The diversity of Montana’s urban areas is illustrated in the population data presented in Table 1. The largest community is Yellowstone County with a population of almost 159,000. The smallest is Silver Bow County with roughly 35,000 residents. Missoula is in second place with 117,000 persons, but Gallatin County’s rapid growth and population of 108,000 is giving Missoula a run for its money. But Missoula’s position as second is solidified when the 35,000 people in the bedroom communities in Ravalli County are included. Four of the six major communities now have populations exceeding 100,000. Table 1. Population of Montana’s urban areas. Source: U.S. Census Bureau. Per capita income is total personal income divided by population. Per capita income is a measure of economic well-being because it is related to the resources available to the typical resident to purchase goods and services. It does not measure the size or growth of a local economy. Per capita personal income for Montana urban communities is presented in Table 2. It takes only a quick glance at these figures to note the remarkable stability of per capita income across the state’s major urban areas. All of the cities are above the statewide average and within 15 percent of each other. The highest income was about $52,000 per person in Gallatin County and the lowest was $42,000 in Ravalli County, which is also the least urban. The regional pattern of growth has shifted toward the western portion of the state. High agricultural prices and the shale oil boom in the Bakken led to rapid growth in income and employment in agricultural and resource-rich counties in eastern Montana. This ended with the drop in oil prices in 2014, and the cattle and wheat price declines slightly later. Although the oil bust was not as severe as first feared, it is now the urban and western counties that lead in terms of real wage growth and employment. Table 2. 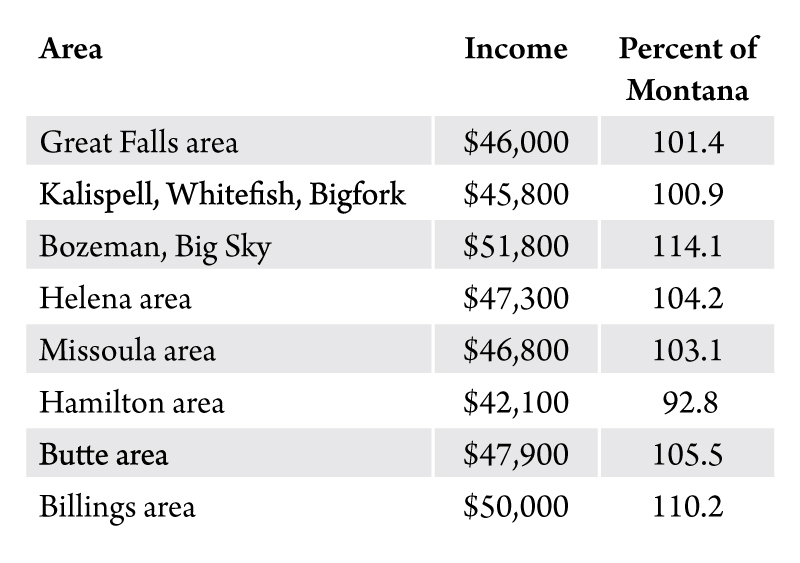 Per capita personal income for Montana’s urban areas. Source: U.S. Bureau of Economic Analysis. Stability accompanied by slow growth has been a distinguishing feature of the Great Falls area economy for more than a decade. Malmstrom Air Force Base dominates the local economic base and its function and staffing as a ballistic missile base has remained unchanged for at least 20 years. From 2010 to 2015, there was impressive growth in manufacturing led by expansions at companies such as Loenbro and ADF International. Great Falls continues as a trade and health care center for north-central Montana, but stability in the hinterlands has led to constrained growth for those firms serving the rural areas. 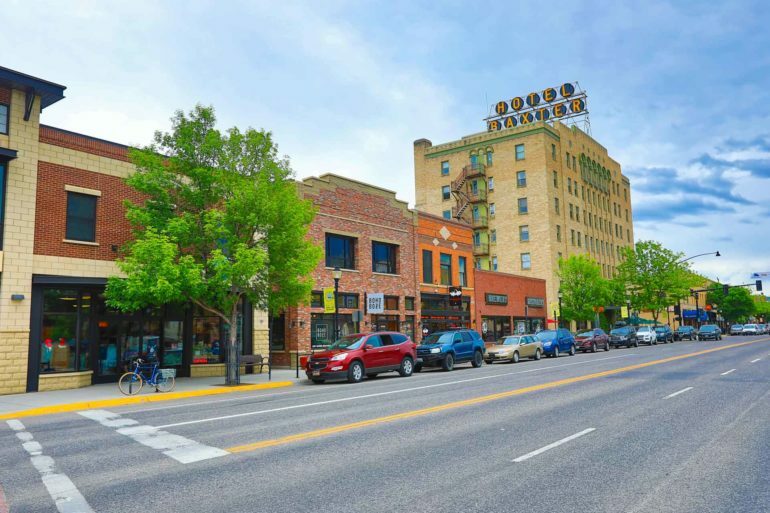 Strong growth in the Kalispell area has been propelled by significant increases in health care, nonresident travel, retail trade and service industries. Record visitation to Glacier National Park has fueled the travel industry, and Flathead County now is home to retail and service providers serving regional customers. Construction activity has rebounded strongly, and the real estate and rental industries have benefited from the strengthening in the second home and recreational housing markets. The Flathead’s wood products industry has not been hit as hard as elsewhere in the state. Gallatin County continues to be the growth leader statewide by a large margin. The torrid nonfarm earnings growth of more than 8 percent per year posted a few years ago has now decelerated to slightly more than 4 percent per year. Other Montana communities are struggling to exceed 2 percent. The causes of growth are not hard to find. 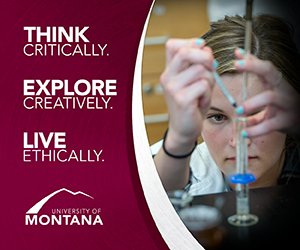 Bozeman is home to Montana State University, which has seen increasing enrollment and expanded research. There is the exciting high-tech industry concentrated in manufacturing and professional services. Bozeman also is growing as a health care center. Additionally, nonresident travel, mostly in Big Sky and West Yellowstone, is seeing more visitors throughout the year. With all these growth factors, construction is booming. Congestion and affordability have emerged as pressing issues in Gallatin County, but many other parts of the state would wish to have these problems. Being a government town has both plusses and minuses. On the plus side, stable state and federal government jobs helped Helena avoid the worst of the Great Recession. In the current political climate, government has not exactly been a booming industry, and the Lewis and Clark County economy has lagged behind most other urban areas in terms of recent growth. There have been positive developments in the private sector, though. The Boeing manufacturing plant is adding workers, and Helena continues to grow as a regional trade and service center. The county’s health care industry also is expanding. Missoula County has finally emerged from a slow-growth slump following the Great Recession and the closing of the largest manufacturing facility in the state. It is now in the middle of the pack among Montana cities in terms of growth. The renewed growth was led by a strong construction boom beginning in 2015, particularly commercial and multifamily residential structures, followed by the addition of new professional business services and the revival of a major industrial site in Bonner. On the minus side, the enrollment declines and layoffs at the University of Montana will have a dampening effect on the economy, but the exact impacts are not yet seen in the data. 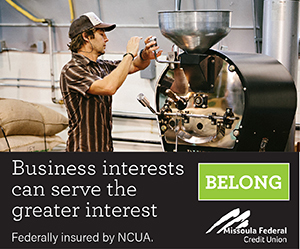 A rebound is also under way in Ravalli County, where much of the economy depends on commuters from Missoula and closely follows the economic trends of its neighbor to the north. Billings continues as the largest trade and service center in the Upper Plains. It comes as no surprise that the export components of retail trade, wholesale trade and professional services were the greatest contributors to economic growth since the Great Recession. Manufacturing (primarily the oil refineries) has also been growing. In the past few years, increases in the health care industry have been significant. Since 2014, the Billings-area economy has faced the added challenge of the slump in the Bakken due to low oil prices. Overall, the Billings area economy has performed at about the statewide average during the past five years and roughly in the middle of the pack among Montana cities. The Butte area economy has quietly diversified away from mining. State government, including Montana Tech, utility headquarters (Northwestern Energy) and trade center retail trade also have become important contributors to economic growth. In the most recent data, retail trade has posted the largest increases. This may be due to the fact that Butte hosts the headquarters of a large and growing chain of gas stations and convenience stores. Continuing its mining heritage, Butte is home to the Montana Resources copper mine. The miners’ wages are tied to company profitability, which in turn depends on copper prices. This can lead to wide year-to-year swings in reported earnings for the copper mining industry. The worst seems to be over for the Richland County economy. The last full year of data show only a modest decline in the overall economy after several years of double-digit decreases. All but one of the nonfarm basic industries (oil field trucking being the exception) were stable or posted increases in 2017 – even the oil and gas industry was stable. The farm and ranch sector continued to be weak. The strongest growth in non-energy sectors were in manufacturing and wholesale trade (farm implements). Looking back, the non-energy sectors of the Sidney-area economy were remarkably unaffected by the oil boom. The past three full years of data show modest declines in the Custer County economy. Mining services was the only industry to post major decreases – these include companies serving the Bakken oil fields on the Montana-North Dakota border. Miles City continues as a regional trade and government center. State and federal employees provide a stable counterweight to the volatility of the energy sector. These government facilities include the Pine Hills Correctional Facility and the regional field office for the Bureau of Land Management. There is little data for the Big Sky economy because it is a census-designated place rather than a county or a city. The available data suggest there are about 2,300 jobs in Big Sky on an annual average basis. Big Sky accounts for about 4 to 5 percent of total employment in Gallatin County. Annual growth rates for Big Sky are volatile, perhaps influenced by the success of specific ski seasons. Big Sky does not have a diversified economy and employment is concentrated in recreation and accommodations, construction and real estate. This pattern of employment is also seen in other ski communities, such as Telluride and Keystone, Colorado.